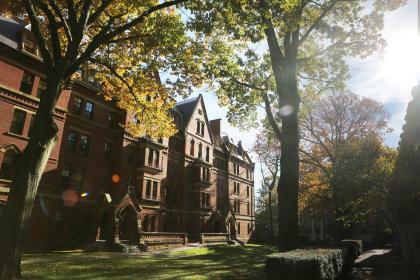 How to apply to college if you have a disability — You Got Into Where? One of the main things to keep in mind when applying to college with a disability is RESEARCH, RESEARCH, RESEARCH. 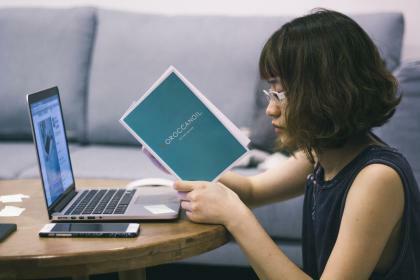 By researching different colleges and universities, you become informed and acquainted with the types of accommodations that are offered which could help you make your final decision. 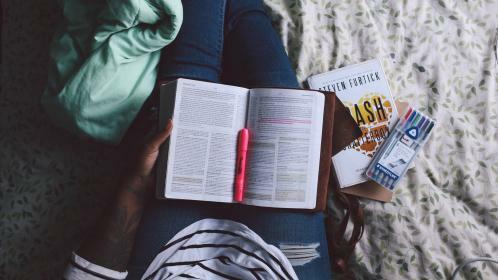 Before you begin researching colleges, you should be aware that there are special acts and programs implemented to ensure you have equal opportunity of post-secondary education. Under the Americans with Disabilities Act, which can be referred to as the ADA, all universities and colleges must provide equal access to students with disabilities. This means that all the facilities, services, and programs are available to everyone with a disability. Colleges and universities are also required to provide accommodations, such as accessible technology or ASL interpreting, to students to ensure they have equal opportunity of success at the college level. 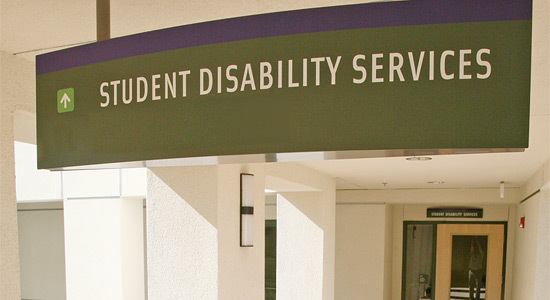 To help students with disabilities obtain these accommodations, there are often offices within the college whose sole purpose is to help students with disabilities succeed in school. Here, you will find out all the accommodations that the college offers and receive guidance on how to make a smooth transition from high school to college. You will most likely learn through research that all disability offices are not created equal. So, it is best to research them all to make sure you will be able to receive the accommodations you need. Having a disability shouldn’t stop you from applying to as many colleges as you desire. Be sure to be realistic in the colleges you apply to. Don’t expect to be admitted into a school based just on the fact that you are disabled and colleges want to increase their diversity. However, a disability can get you noticed. Having a disability can help you stand out in the college application process since it is unique. 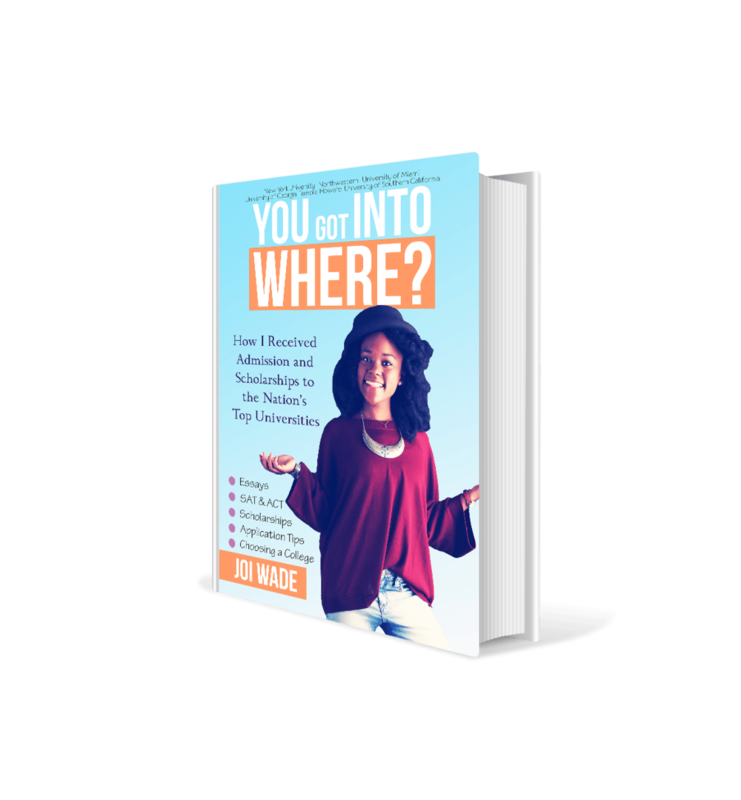 It allows you to have a different view on the world that college admission officers get to see. In fact, it should help you because it could be used on college application essays. It would be something that you are very familiar with and having a disability has probably impacted the person you are today. Many schools require documentation if you choose to report it. Be sure to receive the documentation from your physician. 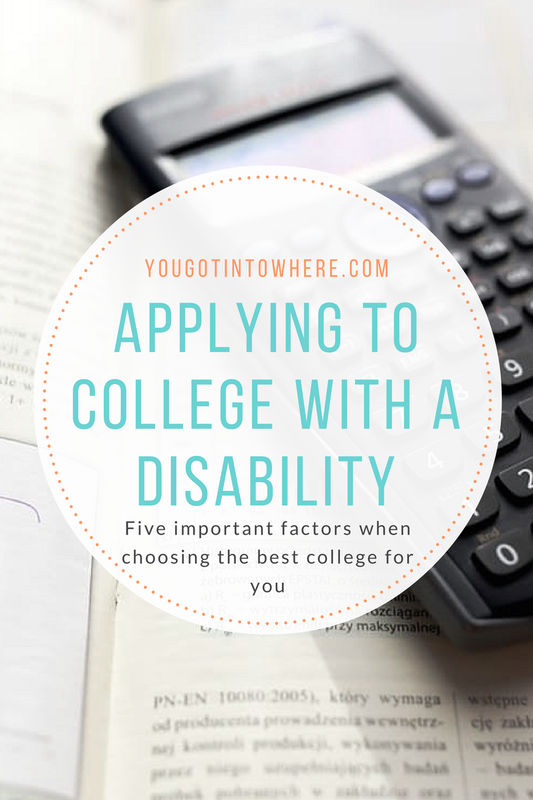 Living arrangements can be a very crucial step in applying to college with a disability. Disabled students want to feel comfortable and secure in the place they will call home for the next four years. So, researching the housing options that universities have is very important since a lot are on a first-come-first-serve basis. Getting in contact with the housing or disability offices can help to inform you of whether a college offers accessible rooms, roll-in showers, separate housing for students with guide dogs etc. Also, note that putting in housing deposits and accommodation request forms helps your chance in receiving appropriate housing. To succeed in college, many may need academic accommodations. While in high school, many students may have used 504 plans or IEPs, to receive these accommodations. But in college, it is the sole responsibility of the student to self-identify any accommodations they may need such as extended time. But some students may not be aware that most colleges provide a lot of the same accommodations that they received in high school so this is where the disability offices can help students in making sure they are informed and their requests are reviewed. All in all, making the transition from high school to college can be scary but it doesn’t have to be. 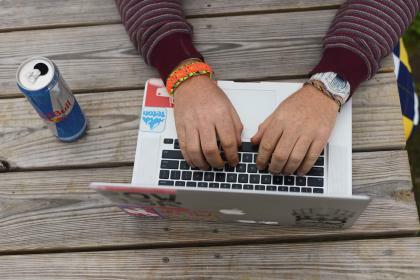 By doing research and preparing yourself of what you need to look out for in the college application process, you can be sure to find schools that will help you receive the best possible education.